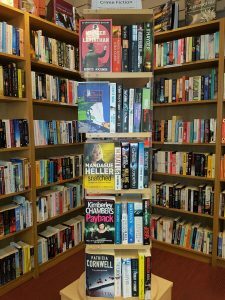 Our crime fiction section is changing all the time and is not just restricted to the rotating stand seen here. We simply have too much for the stand so if you are looking for a particular author, it is always best to check the fiction shelves. This entry was posted in Southwell. Bookmark the permalink.